We are specialists in the porting and fitment of larger valves to cylinder heads. 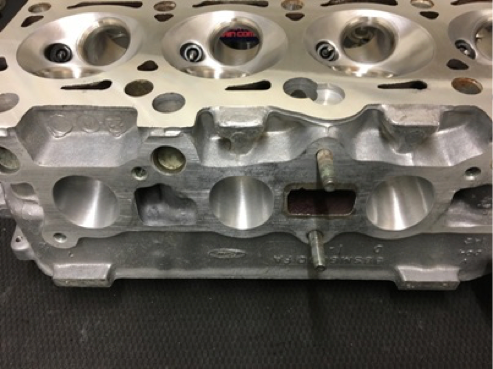 Cylinder head porting is the process of modifying the intake and exhaust ports of an engine to improve the quality and quantity of the air flow. Unmodified cylinder heads are usually not optimal for high performance and require modification to increase fuel and air flow, bringing an increase in efficiency and so subsequently power and torque. We have become very well known for our cylinder head modifications especially for big power engines where the our expert knowledge and high experience matters. You can see more of our work in the cylinder head gallery. For all these engines, we produce ported heads of all specification from mildly ported fast road items, to full race big valve specification. For cylinder heads using larger valves we usually install larger valve seat inserts, something that most head porting companies do not do! Failure to install over sized valve seat inserts can result in valve seats moving due to lack of radial support beneath the insert and the aluminium cylinder head. 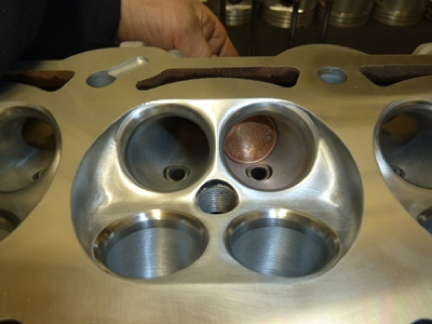 We are specialists in cylinder head porting and modifications, but also in the repair of all types of aluminium cylinder heads that have either suffered from an engine failure, or from corrosion in the water ports. As such we offer a repair service in order to bring an old cylinder head back to life! As is common on many old cylinder heads, corrosion around the water jacket holes can render the head virtually scrap. For rare and classic engines it simply is’nt an option to scrap the cylinder head! We begin the repair process by first milling the corroded area until all corrosion is removed. Sometimes this looks horrific as there can be virtually no head face remaining!! The head is then heated, and then completely welded as required to bring the head face back up to the required level and size. Water holes are remachined back into the head face using templates of the original water jacket, valve seat inserts and guides replaced as required (depending on how close the welding or damage was to the valve seats)and the entire head is overhauled to bring back to an as new standard! if an engine has overheated or blown a head gasket the cylinder head can become distorted. If this is the case we are able to resurface or skim the cylinder head to bring it back into tolerance and create the perfect sealing finish.